It's an unfortunate certainty that all good things must, alas, come to an end. 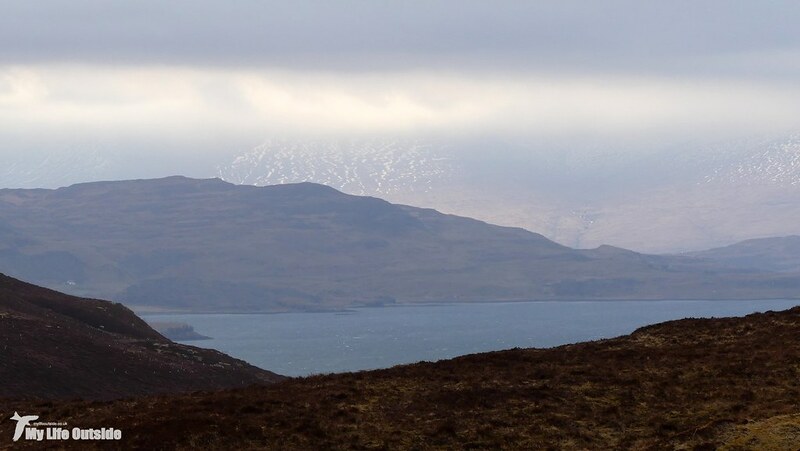 So it is for our fortnight on Mull and after a day of rain yesterday we awoke this morning to a bleak and foggy scene.Visibility was minimal with the cloud base well below our position and you know what? I was ok with that. Over the last couple of weeks we've seen some truly amazing things, enjoyed great company and walked miles. There's been Eagles galore, Otters at close quarters and scenery that blows anywhere I've ever been out of the water. It's even snowed, a new experience for me on Mull and another side to this magic isle which I will forever carry with me. Really I could ask for no more and as thoughts inevitably turn to the life we will soon be forced to return I took a moment to absorb and reflect on how lucky we are to have found such a place as this. Where else can I enjoy breakfast whilst watching Golden Eagles, get woken in the early hours by a bellowing stag in our garden or sit in bed watching the flash of distant lighthouses. Yet it seemed Mull was not quite done with us yet. Through the mists a pair of Redwing emerged, clearly hungry and a species I'd very definitely not been expecting to see. Presumably late migrants heading back north they were soon joined by another and remained a constant presence for the remainder of the day. 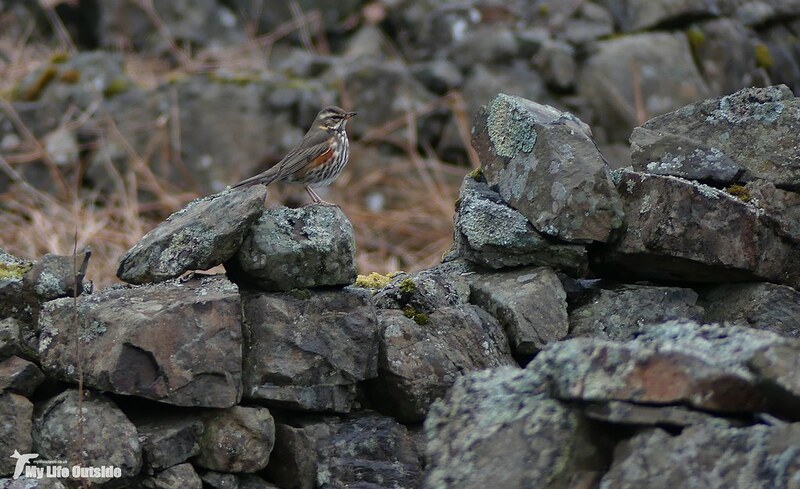 (Only later did I find out that hundreds if not thousands of Redwings had made landfall across the island that morning and what we assumed to be the same two or three birds at our house were likely to have been a constantly changing succession). Despite such poor conditions I ventured out with the camera and managed to get the semi-decent shot you see above. And that, as they say, really was the end. An epic holiday which I hope you've enjoyed reading about even a tenth as much as we enjoyed living it. That we'll be back again soon is a given and honestly, that time can't come soon enough.